Johny Boexstaens had good reasons to thoroughly renovate his shop. The shop is located on the busiest point of the centre, on a corner, in full view. The family has several shops, an opticians shop and Belgian chocolate shops. Johny wanted a new, tasteful but commercial store concept. The collaboration was perfect. WSB performed the renovation from A to Z. Design, permit applications from the municipal authorities, budget control, managing third-party work and the realisation of the shop interior and last but not least: security! 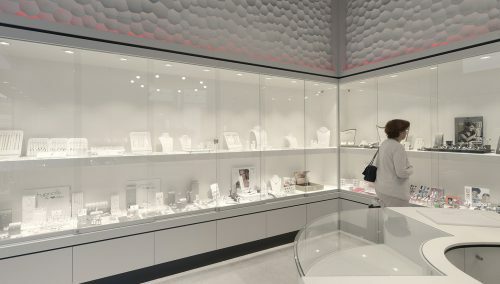 Active shop with an experience for displaying watches, jewellery and accessories. 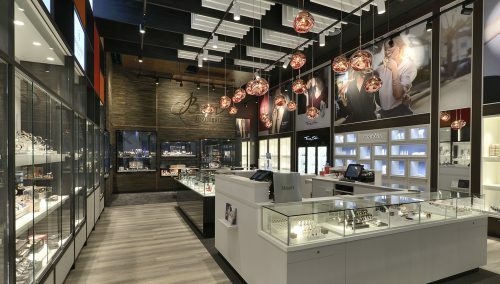 Boexstaens is a highly versatile shop, selling jewellery, spectacles and pralines! Do you plan to renovate your shop? Request a non-binding and inspiring brainstorm session with the WSB retail strategists. 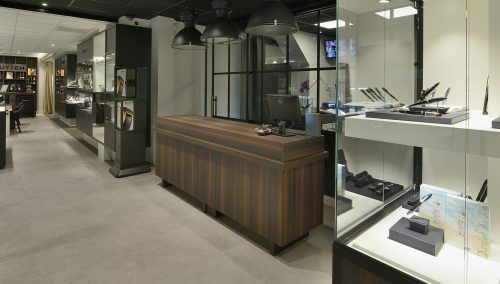 WSB is leading, both in the Netherlands and abroad, in design and interior construction of store concepts, retail chains, show rooms, global brands, practice interiors. Our industrial production process allows for sharp prices and high-quality finishing. WSB works with a professional in-house team of architects, constructional draughtsmen, project supervisors, carpenters, spray-painters, veneer carpenters and assembly technicians.